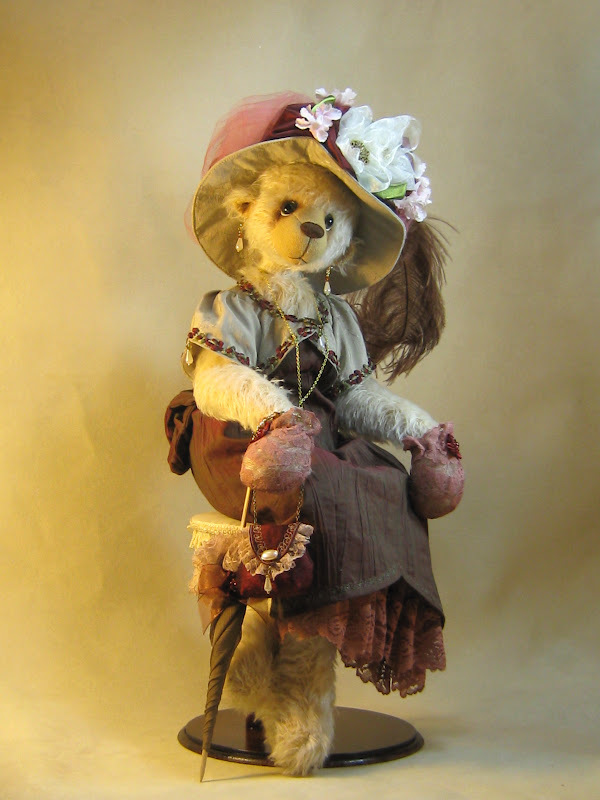 I have just finished the lovely lady Bear. She was a delight to make. It is a Monica Spicer pattern, called Lady Sarah. The bear sits crossed leg. and is beautiful. Monica's patterns are step, by tiny step, with very detailed pictures all the was through. You can read what to do plus you can see what to do. It is just like having your own private tutor. They are well worth every penny you spend on them. Every thing is so detailed with her padded bust, and bustle. She has a delightful handbag and parasol. Around her neck she wears a necklace cameo with he husbands photo in it. Simply amazing! wow! her outfit is just gorgeous! well done! 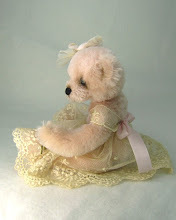 Oh this little bear is so cute! I love her little face. 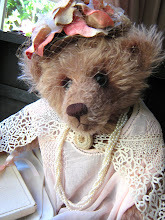 Lady Victoria, is so very elegant and love her pretty hat, parasol and gown. She is wonderful. I love the pose in picture #3, and oh, that face in picture #4 - she is amazing. I love absolutely Monica's work !!! She is an artist !!!! Et un grand bravo Kay, pour votre réalisation !! Your work is perfect !! WAUWWWWWWWWWWW she's incredible Kay! I ♥ her very much. You did a great job, chapeau!!!! 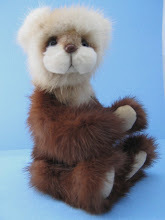 You have done a wonderful job creating this bear and the results definitely show how much care you took with this teddy. Beautiful - enjoy your new treasure! I have seen and admired this pattern. 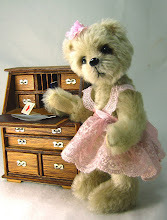 Your lady bear is beautiful, so detailed. It must have been a lot of fun working through all these details. Wow! Kay this bear is absolutely gorgeous and so beautifully costumed. I love that hat. 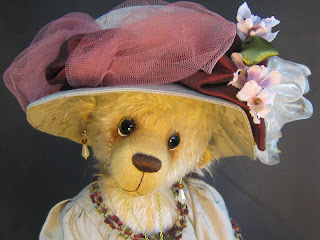 Lady Victoria Jefferson Jones is an amazing bear. Kay, она-превосходна!!!! Очень красивая мордочка, шляпка, очень, очень красивая мишка! Она великолепна!!! !Кей она кравица и леди!!!!Хороша!!! She is so upper-crust ... Not snobbish in anyway but a real lady who knows how to conduct herself with decorum at all times. 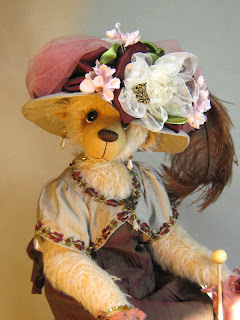 Good morning Kay, this lady bear is absolutly beeautiful !!!!! Absolutely stunning - chapeau! What an amazing pattern and a beautiful lady bear made by your gifted hands, Kay. The way she sits with her crossed legs (very ladylike), her beautiful outfit and above all this enchanting face - great work. Estoy totalmente enamorada de tus creaciones!! Esta osa transmite sentimiento, que es en definitiva, lo que sólo los grandes artistas consiguen. Felicidades por esta capacidad de crear belleza. Monica - gorgeous! Her dress and hat are amazing and so subtly suggest the image of a lady!